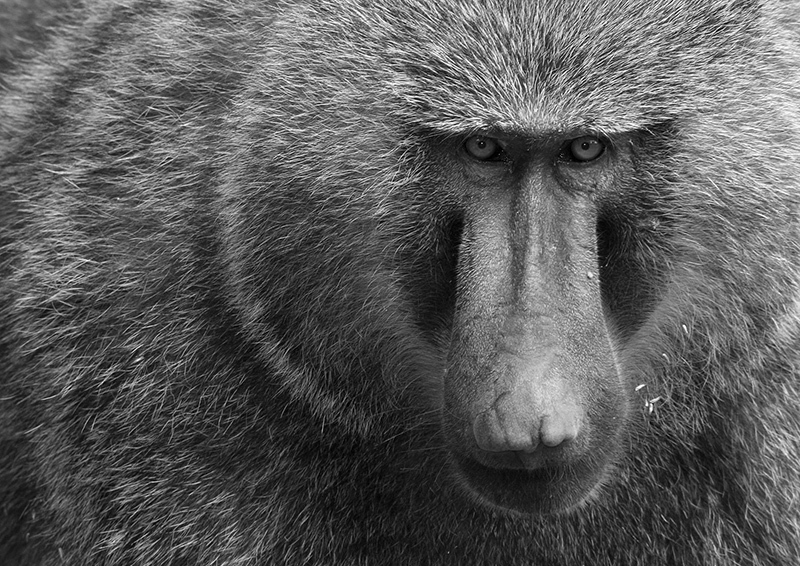 Baboons are usually photographed whilst engaged in behaviour of some kind. I made a simple portrait of this male because I find their most striking feature is their long faces. I composed to exclude all background and waited until he was looking directly at me, with the autofocus point over his eyes. To me, having his face on the third of a landscape format image makes a stronger composition than placing it centrally in portrait format. I converted to monochrome to emphasise form of his features and the texture of his fur.